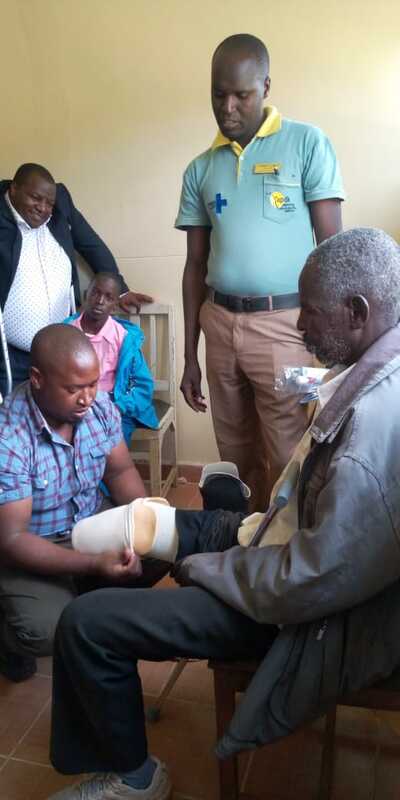 County Government of Nandi through the Department of Tourism Culture and Social Welfare Dispatched the final fitting of both above and below the knee amputees prosthesis. 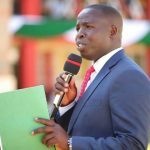 15 beneficiaries drawn from across the County received the support in an event that was officiated by the Governor Stephen Sang Kapsabet County Referral Hospital (KCRH). ivities include medical assessment, offering assistance in the acquisition of NCPWD identity Cards, providing assistive devices such as special seat wheel chairs, Tough rider wheelchairs, business tricycles, walking canes, hearing aids, white canes ,elbow crutches and prosthesis legs every year. 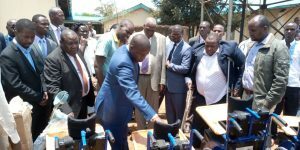 The office has been working tirelessly in partnership with National Council of Persons with Disability , APDK, VSO and other partners in carrying out medical assessment. 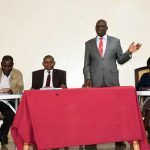 The assessment in this financial year has been done in various places such as Kapsabet School for the Deaf , Chemelil/Chemase, Terik, Kapkangani and Chepkumia Wards. Last financial year 2017/2018 the department allocated funds worth 2.5M.for purchase for assistive devices and has aggressively and effectively utilized the resources. 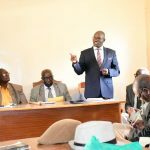 Towett underlined the County Government’s commitment to ensuring that the welfare of the People Living With Disabilities is well taken care of through the Social Welfare Sector.